The demise of the New German Cinema and the return of popular cinema since the 1990s have led to a renewed interest in the postwar years and the complicated relationship between East and West German cinema in particular. A survey of the 1950s, as offered here for the first time, is therefore long overdue. Moving beyond the contempt for "Papa's Kino" and the nostalgia for the fifties found in much of the existing literature, this anthology explores new uncharted territories, traces hidden connections, discovers unknown treasures, and challenges conventional interpretations. 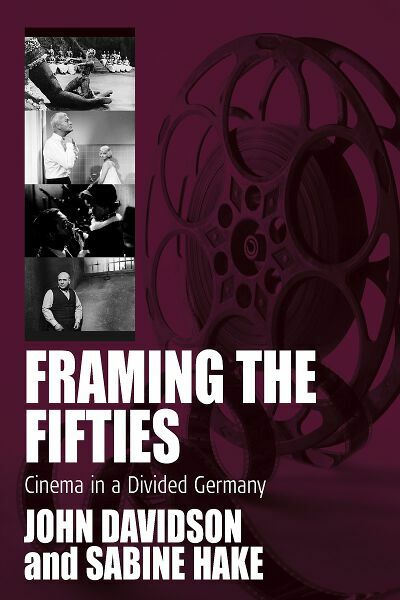 Informed by cultural studies, gender studies, and the study of popular cinema, this anthology offers a more complete account by focusing on popular genres, famous stars, and dominant practices, by taking into account the complicated relationships between East vs. West German, German vs. European, and European vs. American cinemas; and by paying close attention to the economic and political conditions of film production and reception during this little-known period of German film history. John Davidson is Director of the Program of Film Studies and Associate Professor of Germanic Languages and Literatures at the Ohio State University. His Deterritorializing the New German Cinema appeared in 1999, and he has published numerous articles on German film as well as political discourses and literary figures in cinema more generally. He serves on the editorial board of Studies in European Cinema (UK) and is currently working on a book project investigating cinema, labor, and mobility in twentieth-century Germany. Sabine Hake is the Texas Chair of German Literature and Culture in the Department of Germanic Studies at the University of Texas at Austin. She is the author of four books: German National Cinema (2002), Popular Cinema of the Third Reich (2001), The Cinema's Third Machine: German Writings on Film 1907-1933 (1993), Passions and Deceptions: The Early Films of Ernst Lubitsch (1992), as well as numerous articles on German film and Weimar culture. Her current book project deals with urban architecture and mass utopia in Weimar Berlin.